At Summit Dental Group, we are committed to the dental health of our patients and want them to feel confident about the appearance of their smiles. Our Liverpool dental office uses modern techniques to correct unsightly tooth problems in ways that look natural and beautiful. If you have cosmetic issues with your smile, Dr. Clark, Dr. Romano, and Dr. Grossman would be happy to help. 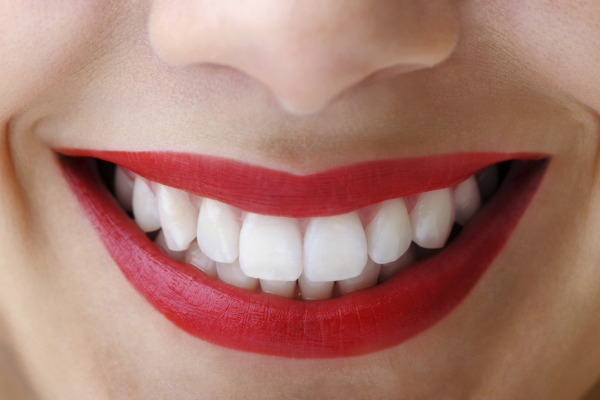 How Can Cosmetic Dentistry Fix Your Smile? Cosmetic dentistry provides countless tools for fixing even the most severe tooth problems. Whether you are suffering from discolored, stained, decayed, damaged, or missing teeth, there are always options available to correct the problem. With a proper diagnosis, there is a personalized treatment plan that is just right for you. Cosmetic dentistry has become a popular option, giving patients more solutions than ever for all kinds of issues. At Summit Dental Group, we perform all of our cosmetic procedures in-house, use the latest technology, and practice the most current procedures in the industry so that we are able to give our patients the best care. One of the most common problems people have with their teeth is discoloration or staining. This is often the result of smoking, taking certain medications, or consuming large amounts of dark beverages, such as coffee, tea, and wine. Cosmetic dentistry offers an effective corrective treatment for discoloration with professional teeth whitening, which uses whitening agents to target tooth enamel and brighten even the deepest stains. Other common cosmetic dental procedures include veneers, which are thin porcelain shells that are fitted over the teeth to cover a range of cosmetic issues and produce a dramatic result. They are custom-fitted to an individual’s mouth and bonded directly onto the natural teeth. Nowadays, even the most severe problems can be fixed in a way that looks and feels natural. From crowns and bridges to veneers and dental implants, there are numerous ways to restore a patient’s smile and help them look their best. Contact Summit Dental Group Today! You can find out more information on specific procedures here on our website, or you may contact our dental office in Liverpool today to schedule an appointment. We also offer an online Smile Analysis quiz to help determine which produces may be of most benefit to you.